The European economy has entered its fifth year of recovery, which is now reaching all EU Member States. This is expected to continue at a largely steady pace this year and next. 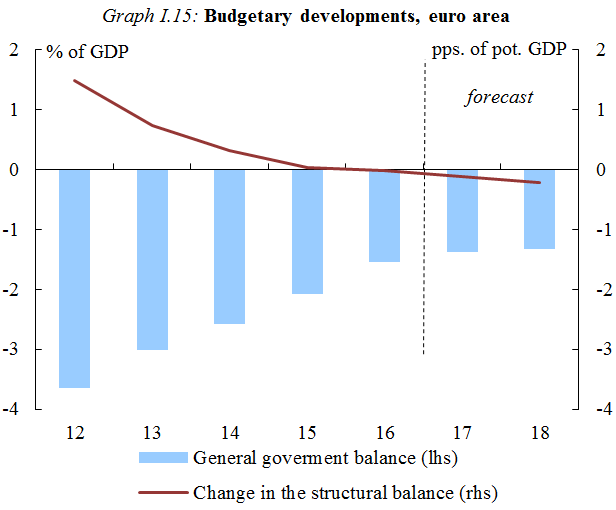 In its Spring Forecast released today, the European Commission expects euro area GDP growth of 1.7% in 2017 and 1.8% in 2018 (1.6% and 1.8% in the Winter Forecast). 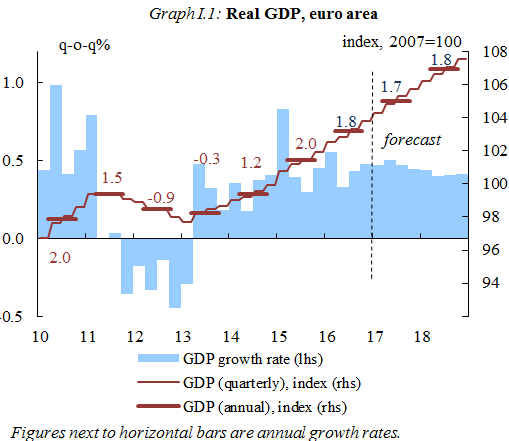 GDP growth in the EU as a whole is expected to remain constant at 1.9% in both years (1.8% in both years in the Winter Forecast). 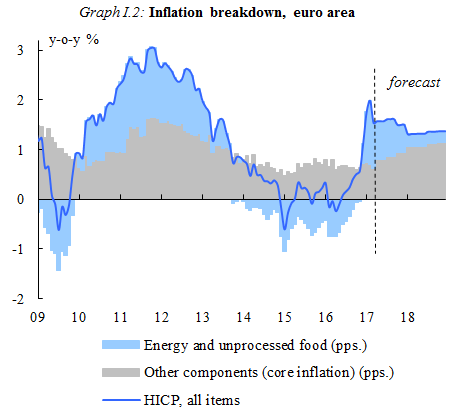 This forecast is based on a set of technical assumptions concerning exchange rates, interest rates and commodity prices with a cut-off date of 25 April 2017. Interest rate and commodity price assumptions reflect market expectations derived from derivatives markets at the time of the forecast. 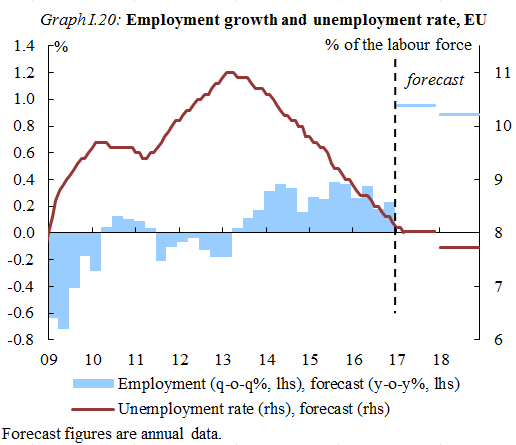 For all other incoming data, including assumptions about government policies, this forecast takes into consideration information up until and including 25 April 2017. Unless policies are credibly announced and specified in adequate detail, the projections assume no policy changes.